The LG V30 has to be one of the most underrated and overlooked high-end smartphones in recent memory, earning rave reviews just a little over a year ago and still looking like a great purchase for notch haters and fans of symmetrical screen bezels. The V30+ is an even better bargain right now at Walmart and Best Buy, fetching only $379.99 and... $69.84 respectively. As you can imagine, the latter deal has quite a few strings attached and a couple of special requirements you need to consider before pulling the trigger, while the $380 listing is for an unlocked handset supporting AT&T, T-Mobile, Verizon, and Sprint networks. No catches, no fine print, just an impressively affordable “Aurora Black” LG V30+ with 128GB internal storage space, 4GB RAM, and Snapdragon 835 processing power. In case you’re wondering, no, this is not the first time Walmart is selling the 6-inch phone at a discounted price, but yes, the savings are more substantial than ever before, beating the previous markdown by $20. 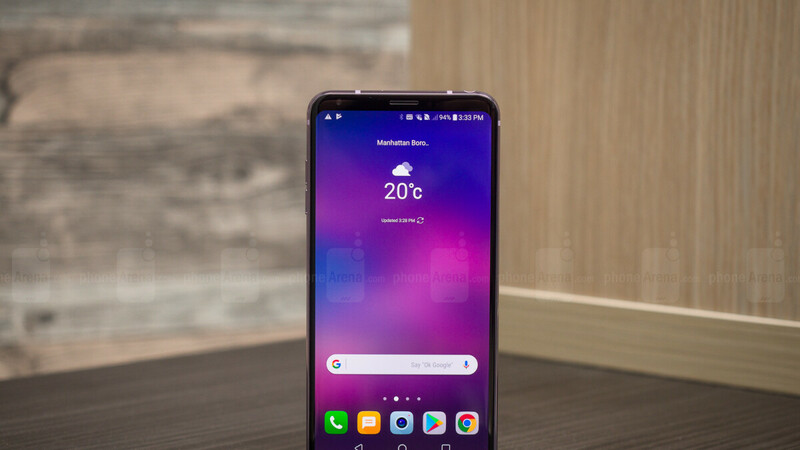 As for how you can purchase the LG V30+ in exchange for an absurdly low $69.84, you probably won’t be surprised to hear it involves monthly installment plans and bill credits. Specifically, 24-month Sprint payment plans for new service lines or new accounts altogether, as well as $10 monthly bill credit applied for the duration of your two-year contract. Best Buy throws in an additional $50 instant discount, so instead of coughing up $15 a month, you’ll essentially pay a measly $2.91 every 30 days, amounting to a grand total of less than 70 bucks. That’s down from an already reasonable standard one-time fee of $360, as well as $120 back in October. This is almost too good to be real. Thing is Its been out of stock at every American best buy location for about a month now. I know because I have been trying to get it since then.